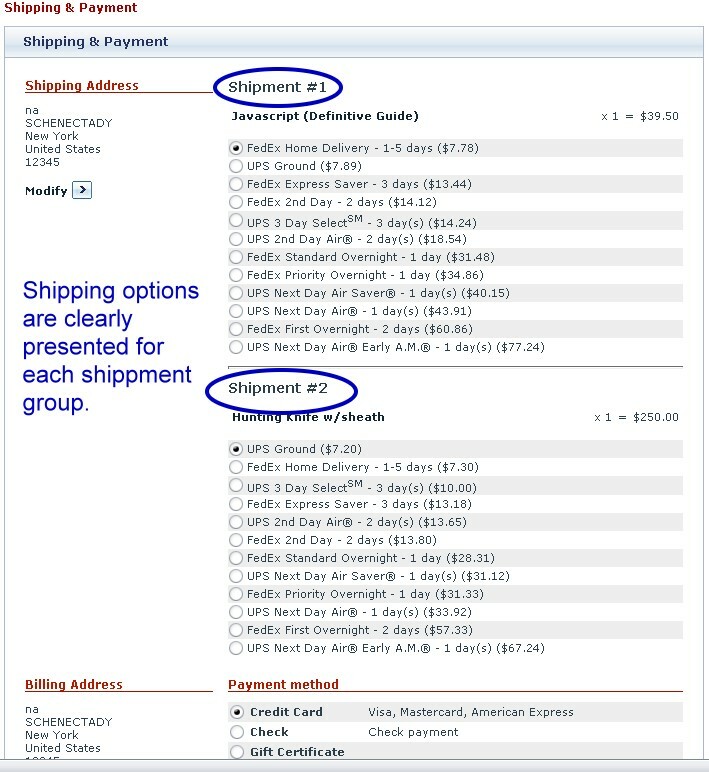 Do you want your customers to be able to select which shipping method they want to use on a per provider basis upon checkout? 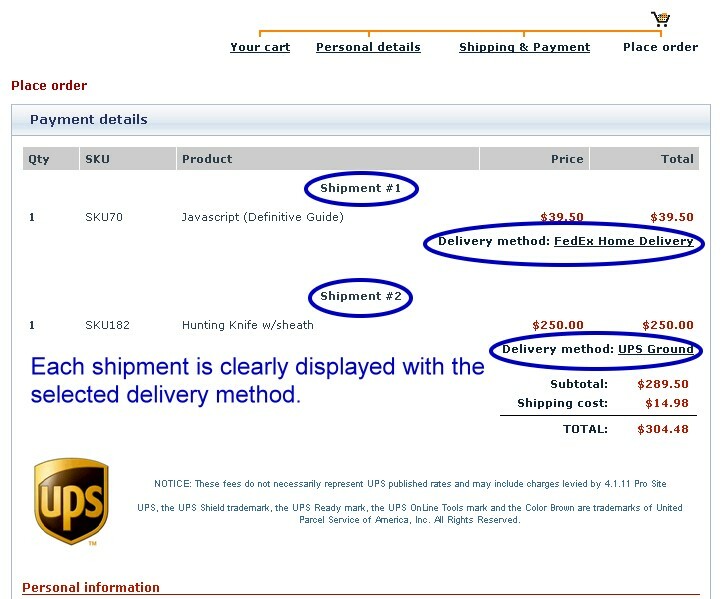 Do you want your customers to get calculated realtime shipping based upon the provider's location and not the X-cart admin address? Then this module is for you! 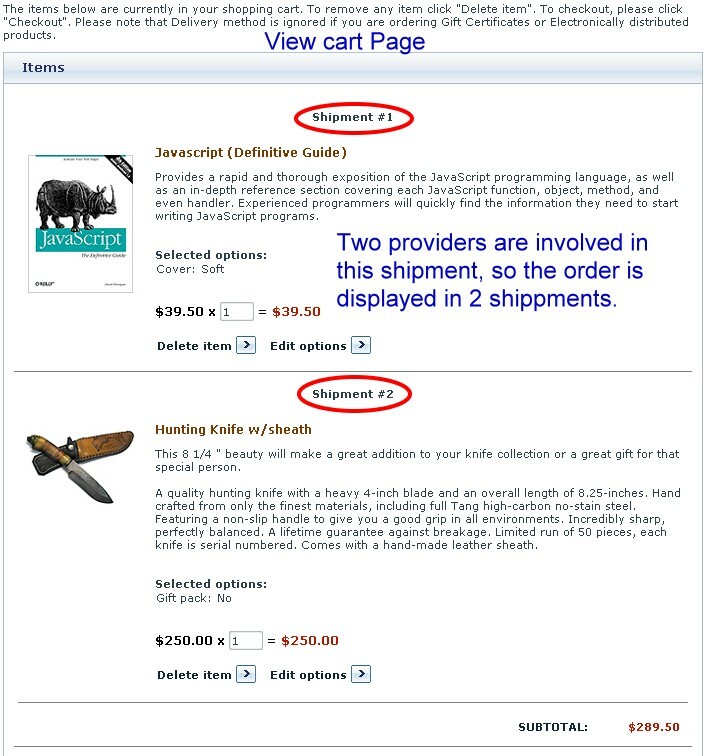 This module will allow your customers to select different shipping methods in their cart for each provider's group of items. It will also calculate the realtime shipping based upon the provider's profile address rather than the X-cart admin address. Giving you and your providers a more accurate shipping cost! Be sure and click on the screen shots to see this module in action! Now updated to work with X-cart Platinum as well! Note This module is *not* compatible with the One Page Checkout at this time. It requires the Fast Lane Checkout. If you have any questions though please don't hesitate to ask. As with all BCSE products, you are entitled to 3 months of upgrades! Be sure and enter your shop domain below to be eligible!